Today has been a gloriously sunny day and as soon as the sun appears, Holly pesters me for her paddling pool, and an ice-pop. Thankfully this time I was ready with some of her very own homemade popsicles that she put into the freezer a couple of weekends ago. Holly has been making her own ice pops using the Chill Factor Pull Pops kit from Character. 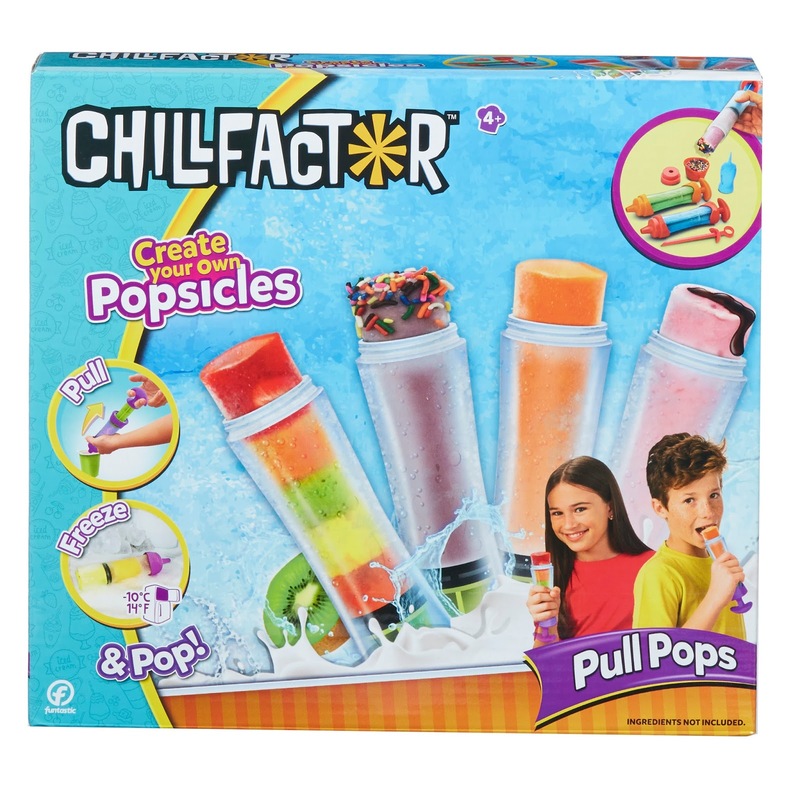 Inside the Chill Factor Pull Pops gift set you'll find two pull pops for you to create frozen popsicles using fruit juice, yoghurt or even fresh fruit. The kit also contains a little bowl for holding sprinkles or hundreds and thousands that you can dip your ice lollies into as well as a bottle to hold your favourite ice cream sauce. In theory, making your own pull pop is easy - you use the handle to pull up your favourite juice or yoghurt into the pull-pop; twist the handle off and then place in the freezer to harden. However, we soon found out that this was easier said than done. Holly and Lara both lacked the strength needed to pull the liquid up into the tubes so I had to help them. I'm not sure if there is a knack to this but I just can't seem to get them to form a good seal so I end up sucking in 50% air and 50% liquid. For this reason, we reverted to filling the tubes up using a spoon... not as much fun, definitely more messy but in the end it had the same result. After you've filled the tubes, you have to twist off the handle before it goes into the freezer. We found this to result in the seal breaking again and we did end up with pink juice all over everywhere. Lesson learned. Anyway, now we've found our knack, the pull pops are very popular because Holly can choose whatever flavour she wants. Her favourite to date is this one which looks alarming but is harmless... it is a strawberry yoghurt ice popsicle dipped in chocolate sprinkles and covered in strawberry sauce. Holly sill finds it very hard to even push the melting popsicle out of the tube as she eats. Moments after these photos were taken, the entire frozen yoghurt catapulted out of the tube and landing on the living room floor. Despite the struggles, I think the Chill Factor pull pops will become very popular over the summer and we are likely to have to keep creating more to put in the freezer. 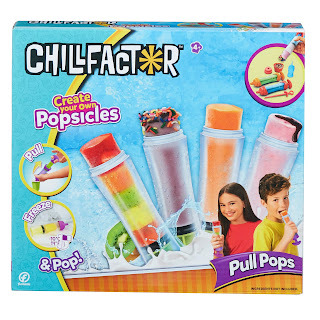 The Chill Factor Pull Pops Gift set costs £9.99 but you can also buy the individual pull pops for less than £5. Find them at www.character-online.com.